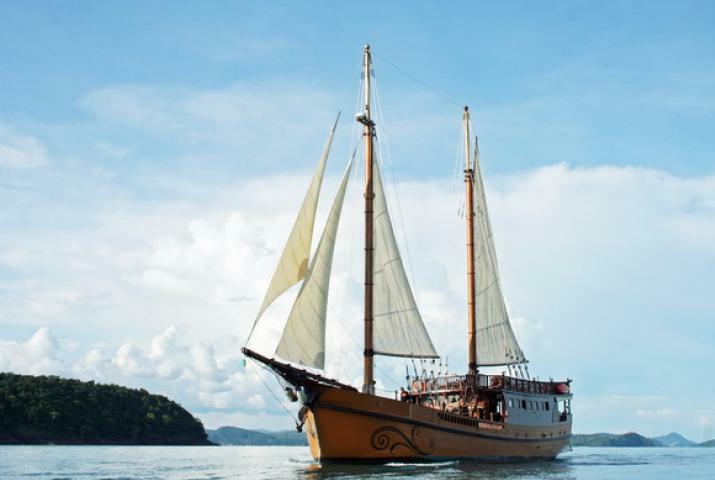 Experience Thailand in a different way, charter this luxury sailing yacht private or join one overnight cruise (cabin charter) from Phuket to the famous islands in south of Thailand. The spacious, 35 meter length by 7 meters beam classic yacht "Diva Andaman" offers 7 comfortable cabins fully furnished with air-conditioning, en-suite bathroom and LCD screen. 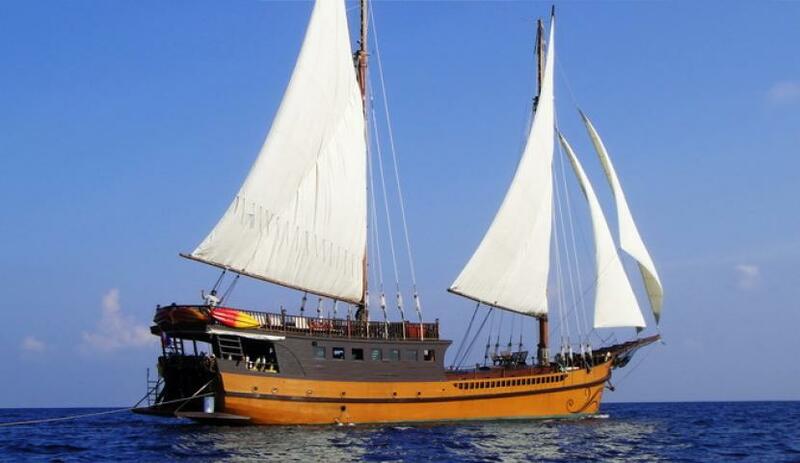 This luxury sailing schooner has capacity of 15 guests plus professional crew. An attentive but discrete crew takes care of everything and the captain makes sure, you wake up every morning at another anchorage with spectacular view. 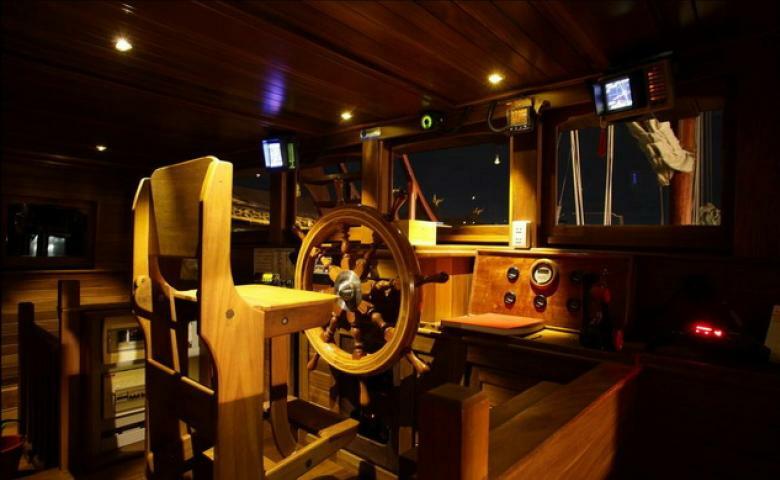 This cruising yacht is fully equipped for scuba diving including a dive instructor. Scuba diving is in price included, but you will need to provide a valid diving license. 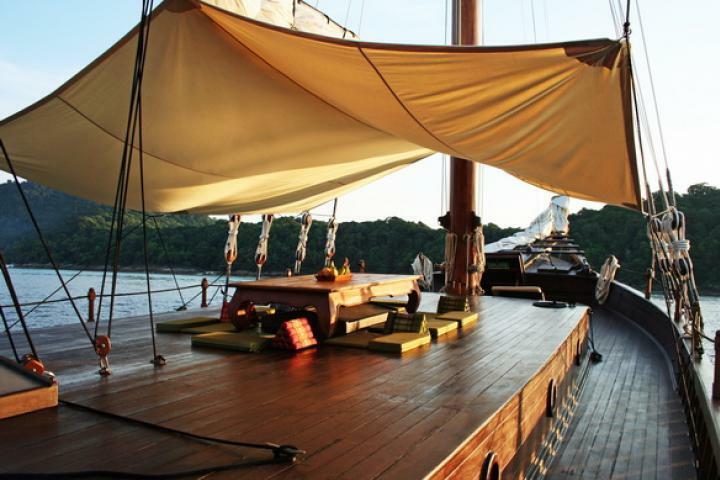 While you are sailing to another place, you can have traditional Thai massage, or just relax and enjoy a homemade ice cream, a cocktail as well as a selection of fine wines. 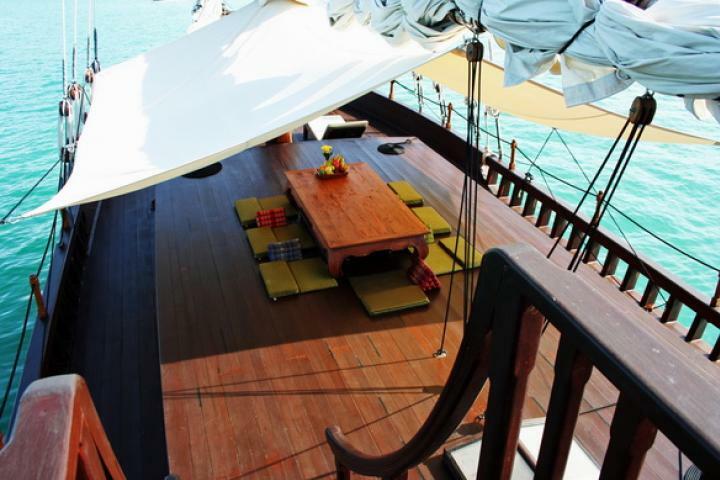 This sailing yacht is available for fully crewed charter and join in overnight cruises. 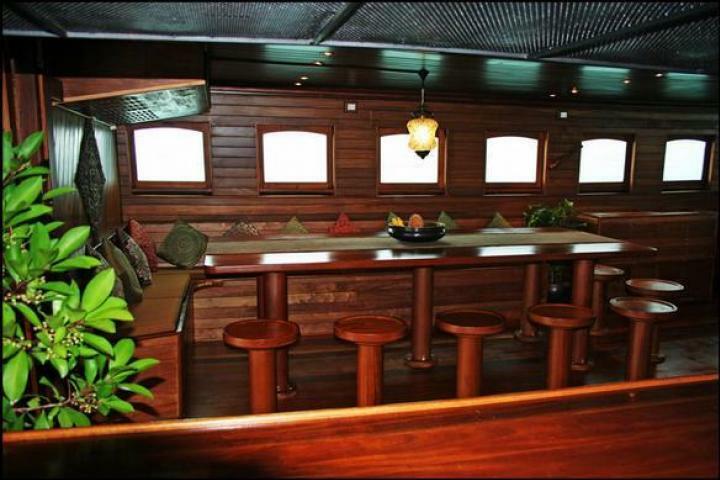 Cabin charter cruises are available from Phuket to the Similan islands, Mergui Archipelago and southern Thailand. 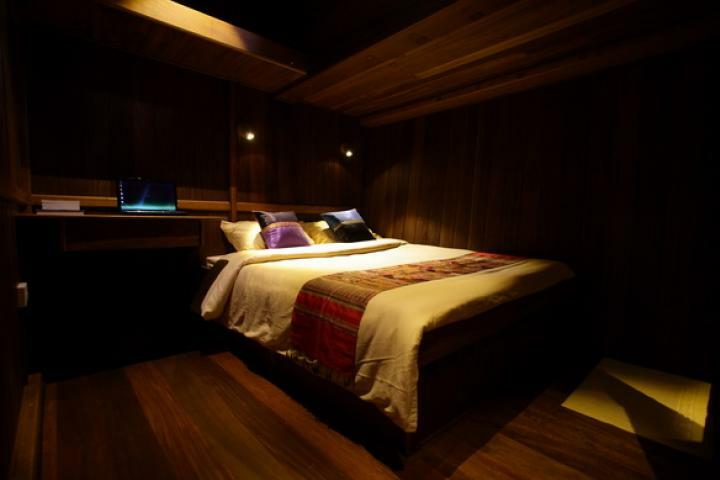 Further down you will find the complete list of all cabin charter cruises available on this luxury schooner. 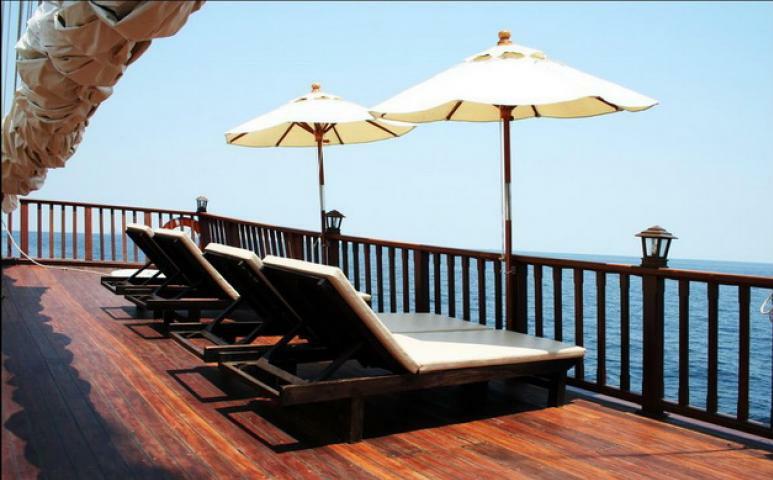 For booking paid fully more than 6 months prior to the departure date of the booked cruise, a discount of 5% on the rates here above will be applied. Note: One child less than 12 year of age will be allowed to share the cabin with the parents at an additional charge of 12.5% of the cabin rate. 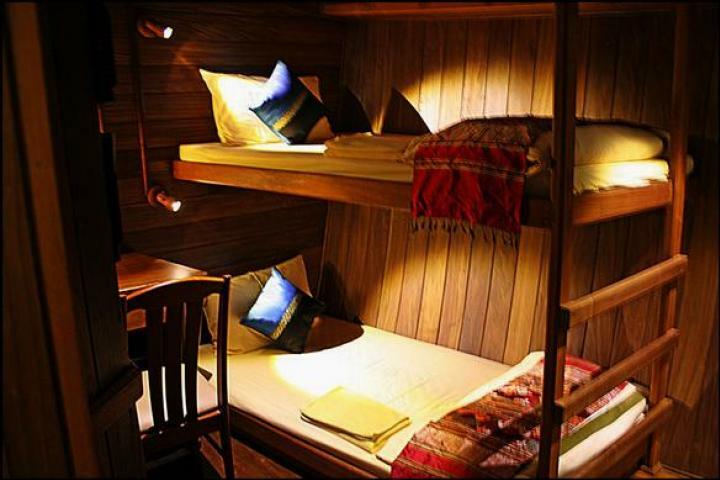 Children over 12 years of age or more are considered as adults and will be requested to stay in an additional cabin.